Baudino, Gael. O Greenest Branch! Penguin/Roc 1995. 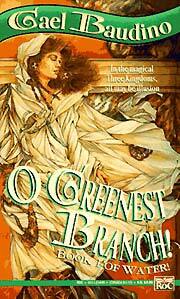 Series note: Trilogy, composed of O Greenest Branch! , The Dove Looked In , and Branch and Crown . Baudino, Gael. O Greenest Branch! Summary: A ship from the Righteous States of America brings an emissary to a mysterious kingdom in northwest Africa, c. 1800. Series note: Volume one of Water!. Published: Penguin/Roc 1995 (0451454499w88 android). Baudino, Gael. 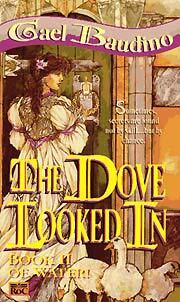 The Dove Looked In Penguin/Roc 1996. Series note: Volume two of Water!. Series note: Volume three of Water!. Published: Penguin/Roc 1996 (0451455533w88 androidBUY).